It’s almost time+new class added+scholarships! It’s almost time for StL Print Week 3 + Ladies of Letterpress! 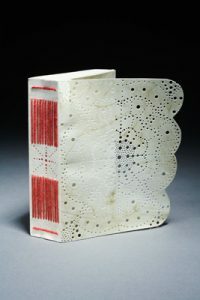 We’ve added one more amazing bookbinding workshop taught by Margot Ecke–you won’t want to miss this one, taught by one of the best bookbinders and artists around. Thanks to a generous donation, we’re happy to announce the opportunity to be chosen for one of two, $250 grants to any Print Week registrant! We’ll announce the randomly selected winners at the Banquet Saturday night. You need not be present to receive the grant. Anyone who’s signed up for the full conference is eligible! We have so much exciting stuff planned that we almost can’t contain ourselves. See you in two weeks in St Louis!